In this episode of the profit, Marcus Lemonis visits Tonnie’s Minis. 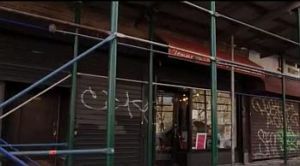 Tonnie’s Minis is located at Broadway, New York. 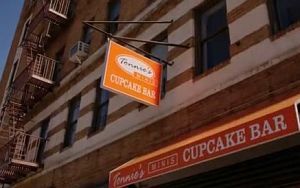 Tonnie officially established his Tonnie’s Minis Cupcakes in 2006. He was able to obtain big accounts from retailers like Bloomingdales and Macy’s. At an early age of 7, Tonnie Rozier started baking with his grandma. He was observed for his brilliance in creating confectionery treats at such a young age. At this time, he already realized that he can make money with his interest and talent in baking. Years after, his friends discovered this, and he was earning from baked goodies. After graduating from college, he began selling cookies by the bag to his co-workers and friends averaging up to a hundred bags daily. His baking business started at his home in Jersey City, while he was still working as the Boys and Girls Club’s director. While looking after his son, he created his mom’s original recipe. The moist carrot cake with a creamy-delicious cream cheese icing. He refined the recipe and made it his signature dessert. Unfortunately, his business dealings were half-baked. He constantly asked and borrowed money from his wife Eranise to cover bills such as payroll and rent. He was forced to shut down 2 of his stores. Now he is striving to make his last store survive. Marcus likes Tonnie’s idea of “Build Your Own Cupcake” but his implementation is poor. The company has a terrible business process and makes just about $500 a day sales. This is not enough to cover production cost, labour cost, electricity and other expenses. One thing that Marcus worries about is that these figures are not “estimates”, but “guesstimates”. There is no workflow and no work process in Tonnie’s Minis. The workplace is chaotic, crowded and not inviting. The business is losing every day and sales are slowing down. The debt is piling up. His business has the worst entrance door according to Marcus. Tonnie relies mostly on free labour. Tonnie never listens to his wife or sister Tamika. He insists on expansion while the business is barely surviving. Borrowing money from loan sharks. Marcus is fascinated with Tonnie’s concept of “Build Your Own Cupcake”. Marcus offers Tonnies a deal of $100,000 for 20% ownership. The amount will help to pay debt and for some renovations. Tonnie hesitated to accept the deal and counters by asking for $600,000 for 20% ownership. Marcus did not buy the idea, instead, he proposed $600,000 for 33% ownership. There was a little debate but Eranise asked Marcus to add some money to pay Tonnie’s mom and the loan sharks. Marcus agreed to it and signed $125,000 check for a 25% share of the business. Tamika convinced her brother and finally, Tonnie accepted the check. Everyone agrees on having Marcus 100% in charge of the business. Fix the store and improve the process. Find out how much every cupcake would cost, which includes raw materials, package and frosting. Lower the cost of production. A total renovation of the place. Find for ways to make the production and sales process more efficient. Make more deals with retailers. No expansion until the business is stable. To start the Tonnie’s Minis’ transformation, Marcus has talked with the staff, including Tamika, Erinase and Tonnie. They made actual computations of the real cost of producing a single cupcake which they determined to be 53 cents. Tonnie struggles to give Marcus his full trust saying he felt abused by the situation. Marcus said he can’t do business with people who felt he is abusing them. After more discussions, the two have finally got to move on and try to make the partnership work. Marcus tries to listen more to Tonnie and agreed to come with him to visit the new business location. Marcus was dismayed upon knowing that Tonnie has already signed the lease contract of the place without even considering his capacity to build and sustain the business. He also cited that there was no solid home base for the business and it’s not logical to have a new uncertain venture. Marcus has to spend $30,000 more in renovating the place since the ceiling completely collapsed. He then takes Tonnie to Sylvia’s Restaurant to try Tonnie’s sales techniques. Tonnie tried to pursue the owners by introducing his cupcake made of sweet potatoes and promised to make this exclusively for the Sylvia’s. The owners have some reservations but allowed them to distribute his samples to the customers. The customers love it and this pushes the team at Sylvia’s restaurant to make a deal with Tonnie’s. Tonnie, Tamika and Marcus visited Merlita Bakery to look at the business operation. It’s clear to Tonnie that adopting new techniques will help him lower the production cost, thus gaining a higher profit margin. With Tonnie listening to more business suggestions, the Tonnie’s Minis Cupcakes finally re-opened with a newly renovated and well-designed shop. To make the re-opening of the business bigger, they distributed samples at the streets. More customers were invited and delighted with the new look and process of the company. Tonnie has already paid his mom, and he recognized the big help of his sister, Marcus and his wife. Tonnie’s Minis Cupcakes is getting on the right track again and projected a $1,100 gross income a day, which totals $140,000 a year. We wish the business all the best and hope Tonnie stays on track with his goals. Hope you enjoyed reading this quick summary of the episode. Feel free to share your comments on this episode and join the discussion.